If cutesy bedding doesn't do it for you, you’ve come to the right place. 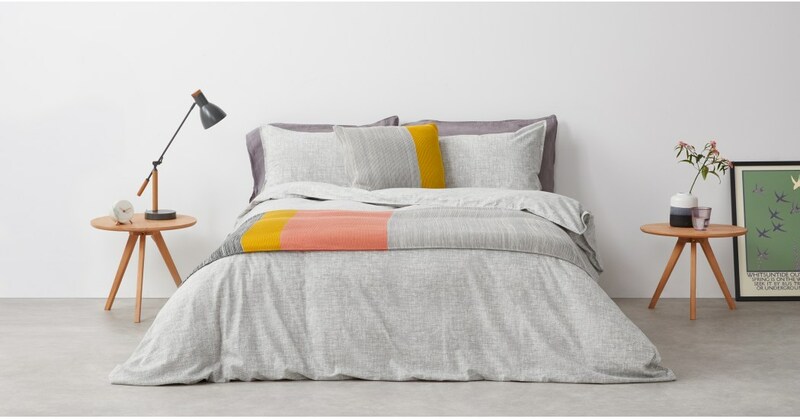 Fleck has a contemporary, Nordic vibe but it feels so cosy, thanks to the brushed cotton. The beauty of brushed cotton is that you don’t get ‘sheet shock’. You know, that feeling when you climb into cold sheets. Brushed cotton feels snuggly and temperate, all year round. The design comes from a hand-drawn sketch. Step back and it almost looks textured. And for a neat finish, we bordered the edges with a twin needle stitch, on both the duvet cover and pillowcases.